This page deals with exceptions to the proverb, Even a moron connects against a peep. Here are some exceptions from professional games. From Modern Famous Games, vol. 9, p. 238. One reason for was to forestall a Black peep at a before . Later White separates from and connects his own stones. From Modern Famous Games, vol. 6, p. 270.
is not joseki, but it works with . 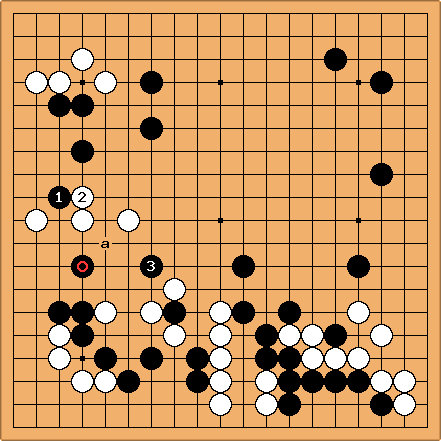 Perhaps influenced by the fact that there was no komi, Go Seigen played from the "wrong" side. Doing so forestalls a Black moyo on the bottom. In the brief commentary, Go Seigen did not like , preferring W a. With Takagawa started a fight. Perhaps he had played with in mind, to make use of his wall. From Modern Famous Games, vol. 10, pp. 78 - 79. 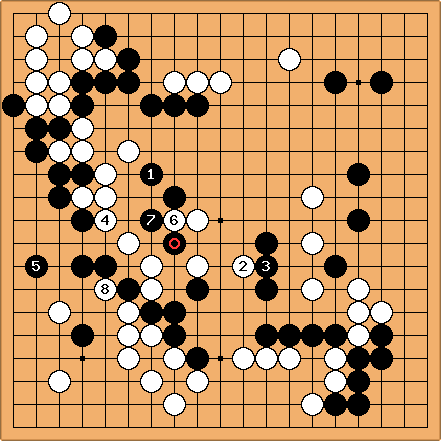 Fujisawa did not immediately reply to the peep, , but made an incursion into White's moyo, starting with . 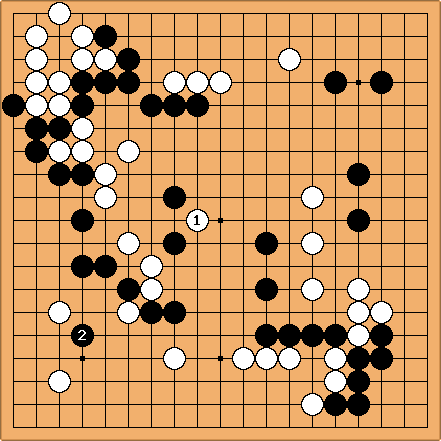 Later, when he did reply, Fujisawa played , which connects to the stones above and threatens . Note . White does not immediately cut off the stone, but sets up a miai. See Approach on the Open Side.